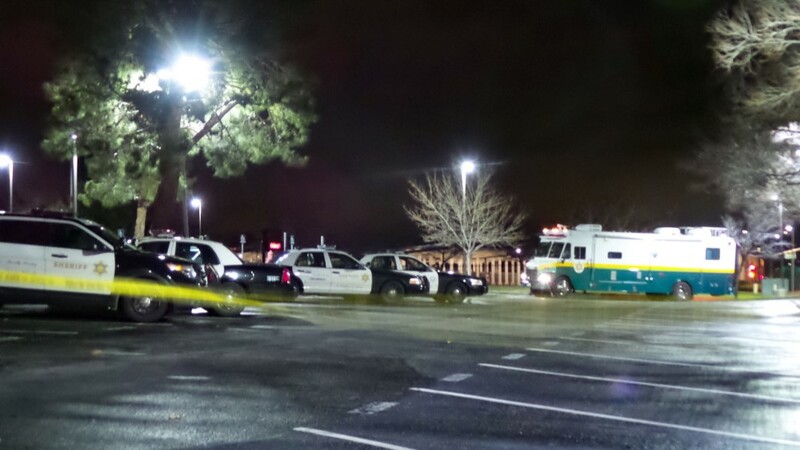 PALMDALE – Coroner’s officials Saturday released the names of three men who were killed in a shooting in Palmdale that also left another man wounded. The victims were identified as Olukayode Owolabi, 27, of Los Angeles; Sean Cowen, 24, of Van Nuys and David Hernandez-Licona, 25, of Los Angeles, according to the Los Angeles County coroner’s office. Deputies responded about 11:15 p.m. Wednesday, Jan. 16, to a call of a gunshot victim in the area of Ranch Center Drive and 40th Street West and located four men in two cars parked at the location, all suffering from apparent gunshot wounds, according to Deputy Marvin Crowder of the Los Angeles County Sheriff’s Department. Owolabi, Cowen and Hernandez-Licona were pronounced dead at the scene and the fourth was taken to a hospital in unknown condition, Crowder said. A description of the shooter or shooters as well as a motive was not immediately available, he said. The murder weapon was not recovered. Anyone with information about the shooting is urged to call the sheriff’s Homicide Bureau at 323-890-5500 or Crime Stoppers at 800-222- 8477. 6 comments for "Coroner IDs three men shot dead in Palmdale"
Tragically these three young souls; a Nigerian, a skilled skateboarder, and a Latino from Boyle Heights won’t be seeing anyone. The fourth victim that made the 911 call, hopefully will be able to provide evidence against the suspects. By the way, the fourth man was shot in the face, and will be traumatized for the rest of his life. A Nigerian, a skateboarder, and a Latino from Boyle heights. The fourth victim has the answers. A skateboarder? How did you discern that?